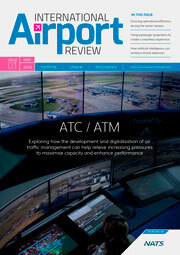 Today’s travellers now expect more choice, more communication and more convenience from airports and airlines. Technology is ever-improving, but with passengers becoming highly demanding about the services they receive – from planning their trip to getting on the aircraft and beyond – where will technology take us next? John Grant, Senior Analyst at OAG, argues that flight information and data are the fuel that is powering the next generation of on-demand travel. Centennials, aged 13-18, have been born and brought up with technology. They have access to five screens at once and have extremely high expectations for instant information1. As technology continues to develop, airports need to adapt to the changing needs of travellers, always keeping the digital charge front of mind. Brands outside of aviation, such as Airbnb and Uber, have already maximised the consumer thirst for everything on-demand, leaving the whole of the travel industry entering the on-demand economy. 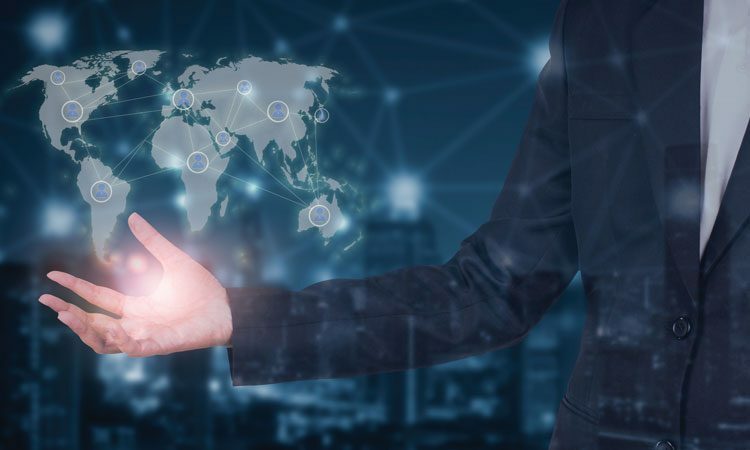 This puts extreme pressure on airlines, airports and travel providers to meet, and even exceed, these demands to deliver a seamless and connected offering. As the travel experience continues to develop, we’re entering a period of edgy and quirky innovation, bringing technology closer to individuals’ needs. 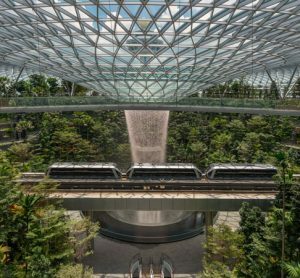 This new technologically-based relationship has immense potential to shape future travel, and provide major commercial opportunities for airports and airlines around the globe. For airlines and airports, options such as baggage tracking devices, biometric usage and service recognition for premium travellers are just a few of the on-demand options that should be considered; helping enhance the experience that customers receive. Travellers want to be in control of their journeys from start to finish and the majority of air service providers are still working to meet all of these expectations. Most key industry players now offer personalised pre-departure options, including meal selections and fast-track control processes. But, how do airlines and airports take this to the next level – offering re-booking, recommending hotels or on-the-ground transport at the click of a button? Air travel providers need to synthesise and capture real-time data, understanding not only the importance of this, but also the value it holds when immersing customers in the travel-tech experience. 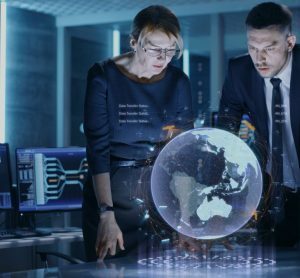 In order to keep up with the continuous developments of technology and be able to remain competitive, access to flight information data is essential for those in the aviation industry. Technology brings a great opportunity for airports to embrace communicating day-of-travel information in a better way; motivating customers to spend more by advancing simple everyday processes. 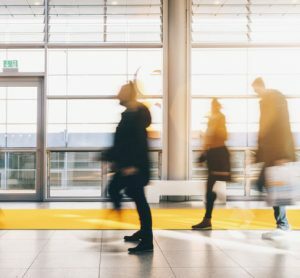 Whether it’s going through security or checking in baggage, airports should ensure travellers are constantly kept up-to-date on the status of their flight and connections, not only in real-time but also across multiple channels. Finding ways to improve day-of-travel information transparency is more than just a play to improve customer service and experience – it’s what enables the on-demand activity that travellers crave. Airports should also find ways to better influence the booking process. Although this function typically lies with airlines, leaving airports themselves with little presence, airports should be working to access booking data and tap into how this can benefit them directly. Whether it’s a better understanding of customers and tailoring an experience based on this, or some other aspect, providers should find out what works for their business and customer base to maximise impact. It’s not a mere simple change for the industry. Airlines and airports need up-to-the-minute schedules and flight status data, information on potential connections, and the ability to keep their travellers, partners and sales channels in the loop at the same time. The basis of any on-demand service is location and timing. For an airline to deliver what a customer wants, they need to understand where and how they want it. Providers are smartly investing in accurate and reliable data and analytics to proactively optimise their on-demand services. This data can help travel providers better understand traveller behaviour, location, timing and the options that they might be able to present. The new generation is reliant on choice and convenience when it comes to booking, which demonstrates that product and ease-of-use is more of a purchase driver than brand loyalty. For airports and airlines this means having to work that bit harder to draw attention to themselves, and away from competitors, by meeting these expectations – be it swift customer service or flight perks. Ultimately, the on-demand economy is growing in every aspect. For example, banking through an app where money can be transferred within seconds, is affecting wider consumer expectations. They now want a similar immediacy for other purchases and services, and the process of booking and taking a flight is no different. It’s critical for industry leaders to understand one thing: flight information and data are the fuel that is powering the next generation of on-demand travel. If you look one, five or even 10 years into the future, up-to-date travel information for every step of a journey will be at consumers’ fingertips in a matter of seconds. In fact, it may even appear on their fingertips if the wearable becomes obsolete in favour of some sort of hologram interaction with our mobile devices. Travellers will know exactly how many minutes it will take from leaving their front door to arriving at the boarding gate. Updates on traffic, security waiting time, gate-side seating and more will be just some of the many pre-trip alerts passengers can opt in to. So, with technology on the rise, and customers on a digital-high, what’s next for the airports and airlines? There’s been no shortage of talk this year about how developments in big data and artificial intelligence (AI) will soon be affecting airports and airlines around the globe. In January 2016 Emirates announced it is among brands that have already started exploring the potential of introducing robotics as part of a major technology transformation initiative, also placing a heavy focus on the future role AI will play. The desire and pressure for the immediacy consumers are pushing for is not only about changing the products on offer, but also improving the level of service. With so much more being expected, providers are looking for ways to simplify every day processes, and in many cases that means removing the human interaction. In December 2015 KLM began operational trials of the ‘Spencer’ robot at Amsterdam Airport Schiphol. The AI robot is said to be able to assist with day-to-day tasks such as guiding groups of passengers to departure gates, freeing up the time of airport and airline staff for more pressing or difficult customer situations. 2017 will also see a movement towards the desire to travel as a fully-fledged, self-connected passenger. 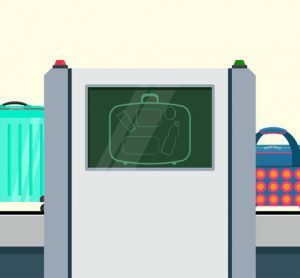 In a recent OAG survey, almost 92% of respondents indicated that they would be prepared to self-connect in the right conditions, so with the likes of self-service check-in and baggage drop already available, where will technology take us next? Biometric technology is set to influence and drive an additional role in security, creating a more seamless experience for travellers. At the beginning of 2016 Air New Zealand installed the first of 13 biometric-enabled self-service bag drop units, which feature an embedded camera to capture imagery of the passenger’s face at the point of luggage drop. With the ability to enhance many of the technology-driven services that airports and airlines already offer, such as baggage check-in, it’s likely that biometric capabilities will be adopted by many others in 2017. This in turn will drive a charge towards embedded, self-service solutions. Perhaps not quite on schedule for 2017, but another trend that certainly isn’t too far in the future, is the biometric chip implant; set to revolutionise any travelling experience. There will no longer be a need for documents, printed or on a smartphone, as this chip will extend across every step of the journey, from check in, to boarding, to passport control. Just one integrated chip will combine all touch-points, acting as an identification document, and even a payment method. All travellers will have to do is link their chip to their mobile or wearable device for it to provide key data, information and updates from the moment they leave their house, to the moment they arrive at their destination. John Grant is a Senior Analyst at OAG. He advises OAG on aviation industry issues, having worked for a number of airlines before now, managing a successful consultancy practice.